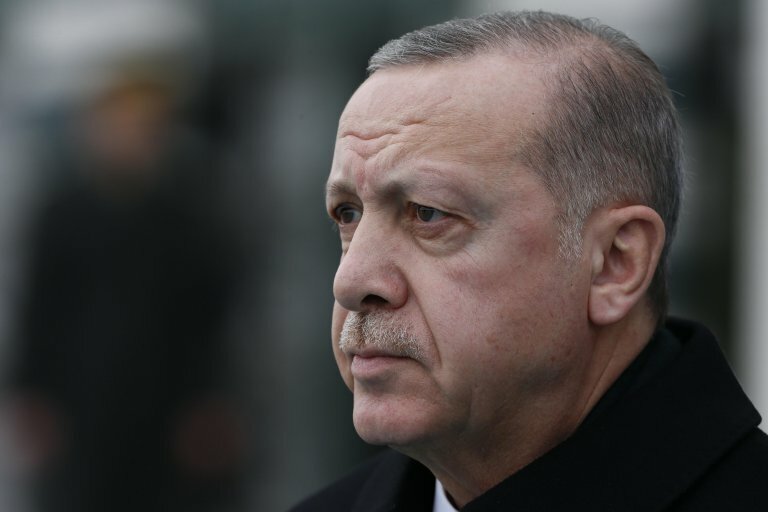 Turkish President Recep Tayyip Erdogan said his government is aiming to create safe zones in northern Syria to allow four million Syrian refugees currently living in Turkey to return. Turkish President Recep Tayyip Erdogan, speaking at a coordination meeting Monday between the Red Crescent and the Red Cross in Istanbul, said his government is looking at creating, in a "first phase", a safe zone in northern Syria where four million Syrians currently living in Turkey can return. Erdogan also said that 300,000 Syrians had already returned and that he expected millions of Syrian nationals would return to safe areas. The president said Turkey has spent "35 million dollars for all refugees" since the start of the regional crises in 2011. "We will soon bring peace and security back to the east Euphrates," Erdogan said, referring to the areas currently under the control of Kurdish YPG militants. His comments thus reaffirmed Turkey's intention to take control of the region after US troops withdraw. "Turkey doesn't aim only to eradicate terrorist organizations, but is also working to mitigate the humanitarian effects of the crisis provoked by the conflict in Syria," Erdogan said. Meanwhile, the US has allegedly sent about 600 additional troops to Syria from nearby Iraq to facilitate the armed forces' withdrawal from Syria, according to pan-Arab and Iraqi media, citing Iraqi military sources in the western region of Anbar, which borders Syria. The news has not yet been confirmed by the US-led anti-ISIS coalition or by other official US sources.